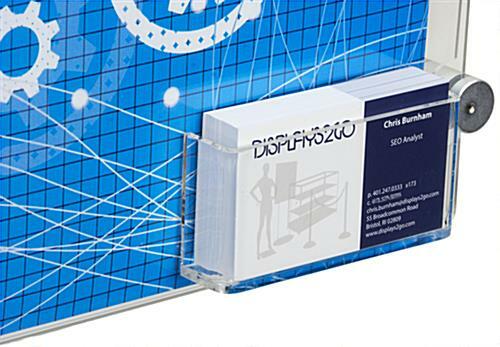 This 17" x 11" standoff signage with card holder is great for business that want to advertise with an image while dispensing namecards. 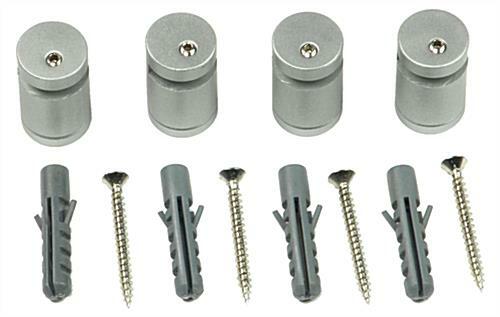 Each wall mounting holder consists of (4) silver spacers and (2) acrylic panels with button magnets. 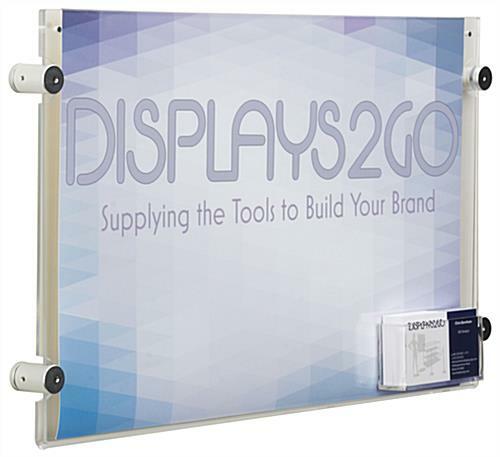 The 17" x 11" standoff signage is great for dispensing contact information in offices, lobbies and other professional environments. 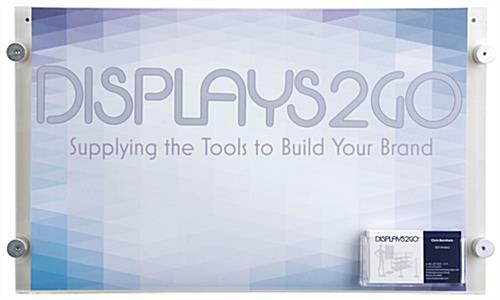 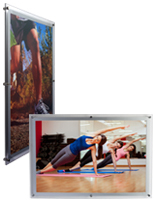 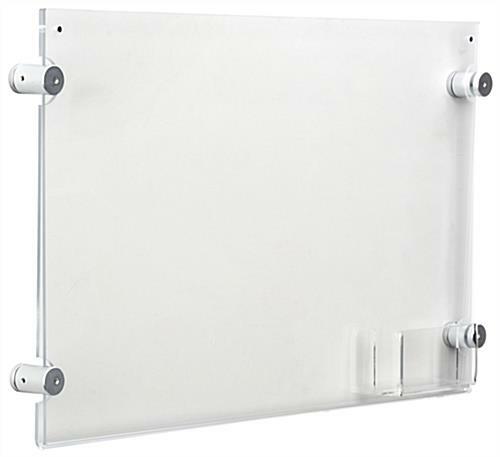 The acrylic frames for businesses include wall mounting hardware for easy installation. 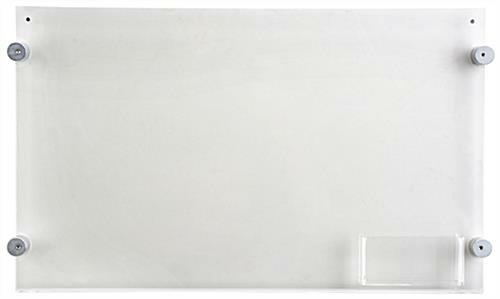 The silver standoff signage features modern appeareance that looks great in any interior. 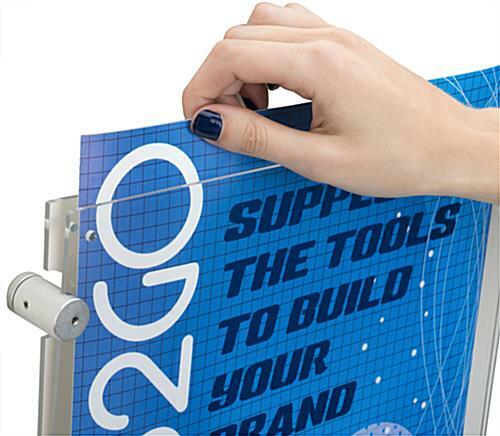 Each holder uses its magnets to secure graphics and makes it easy to change them.